Vonnie considers these a pleasure and privilege. 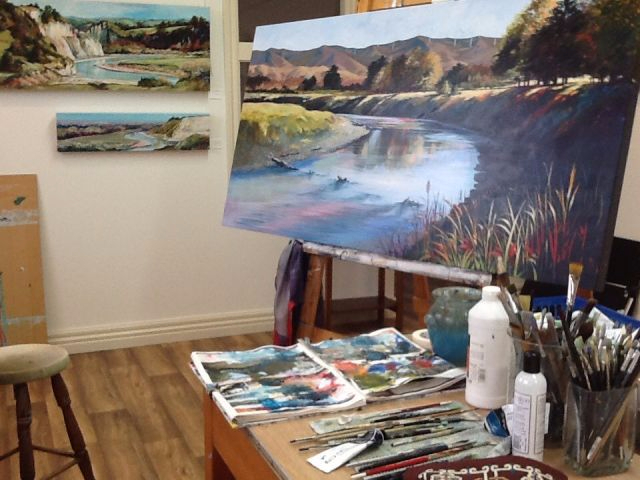 She is very experienced as a portrait painter, botanical illustrator/painter, pet/livestock and landscape artist. Working with you to create that special painting you have always wanted, ensuring the composition, colour and size is exactly fitting your requirements. Progress visits are always encouraged during the painting process, ensuring you the best possible outcome. A painting of my daughter playing in the sand at Gore Bay. Ira's portrait is a brief and gestural work leaning on blues to under paint the flesh colour. A dramatic little painting describing a vibrant and energetic lady.